There has been a lot of buzz surrounding the disclosure of the new USA currency notes now known as the 'Continental Dollar'. 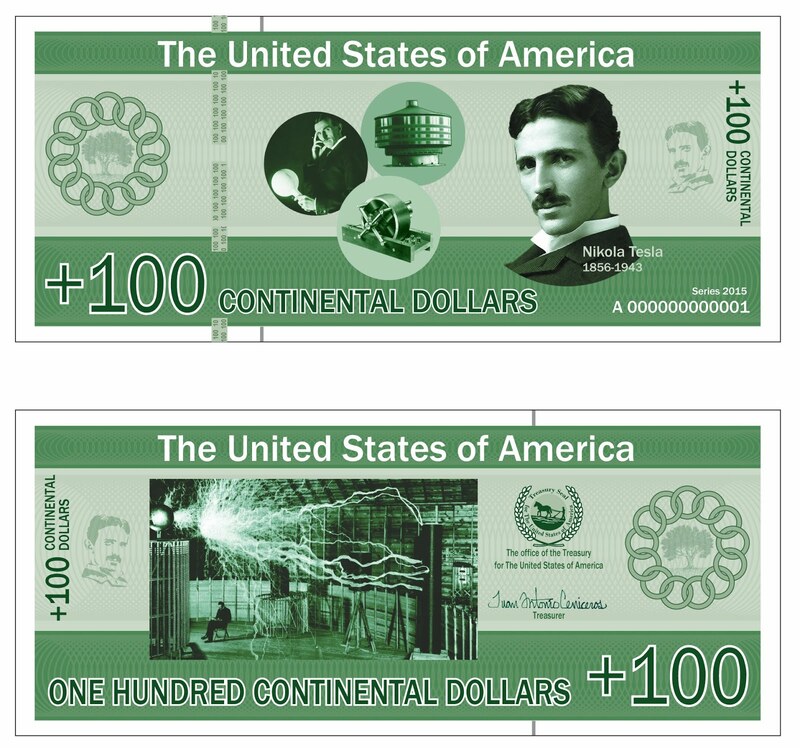 The community of readers who follow the news regarding the "new financial system/RV/GCR" got to see for the very first time what the new currency looks like and which institutions are responsible for this new colorful currency. If you still have not seen them you can visit the The National Great Registry of The United States of America and scroll to the bottom of the page to see the new notes. Higher resolution images are at this link here, just click/download on one of the images to see it in full view. There is obviously a lot of controversy surrounding such a big announcement and change, and it is to be expected. Researchers and viewers from around the world have been asking me questions, some have even vented their frustrations over this. So as a reminder to the reader, just keep asking questions about everything you come across until you find what you are looking for, and even then keep asking questions. So of course, this adds another source of verification but I still wanted to understand more about this new form of currency and decided to reach out to the source. I contacted both the Secretary of State of the USA and Treasurer of the USA and did get an official response back from The office of Governor. The questions I asked were the following. The public is currently receiving intelligence briefing to make us familiar with the coming public events via people like Yosef, Kent Dunn, Corey Goode, Winston Shrout, Benjamin Fulford, Neil Keenan, and a few others. These sources allow the public to better understand the bigger picture but sometimes the information cannot be crossed referenced and disagreement occur. I was wondering if you can introduce yourself and provide any additional information about how the restored republic is to be recognized on a global scale and how the USA Corp will be eliminated? When will the Secretary of State be able to notify the patriotic military to eliminate the chemtrail program operating illegally over the USA airspace? Operations are still ongoing as of 11/27/2016. Reports are saying Paul Ryan will be nominated by the Electoral Collage as the President for the USA along with VP Mike Pence. Is this true and can you provide additional information about this transition? When is the planned disclosure of the Extra-terrestrial presence to occur and is the UN going to be the official platform for public awareness or does it need to be a grass-roots effort? When and who is the responsible organization for a world wide tribunal for those organizations, people, and families responsible for crimes against humanity? When are the tribunals going to be made public and which organization will be making arrests? I assume that this is the correct link ... http://humanrightstribunal.international ? What media organizations have you aligned with so as your messages will not be censored? Mainstream media (CNN, FOX, MSNBC, CBS, etc.) is currently compromised and has only reported false news for many decades. They have brainwashed the public and have no credibility. How will this be fixed and can you suggest to the public on where to look for credible information? We certainly live in incredible times and hope the community and the human collective pushes forward to reclaim the knowledge, happiness, health, and sovereignty we all seek. It is the difficult moments in life that can make us stronger, and because of this we can overcome any obstacles that block our path to Self discovery. Find your truth, keep asking questions, and the moment will come where all is revealed. Best to everyone.